Col V C Goyal is a well-known cardiologist in Ghaziabad. He also has his personal clinic in the same city by the name Colonel Goyal clinic. He has pursued his M.B.B.S. degree from SMS Medical College, Jaipur. Apart from this, he also has a PG Diploma in clinical cardiology from IGNOU. Dr. Goyal currently practices at a private clinic in Indirapuram, Ghaziabad. 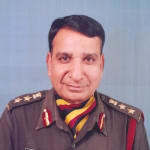 Previously, he has worked at Army Medical Corps from 1977- 2010, Narender Mohan hospital from 2010-2011, Fortis Hospital, Vasant Kunj from 2010-2013, and ECHS Noida from 2013-2014. His specialties include cardiology, diabetology and general medicine. His expertise includes angiography, pacemaker, cardiac ablation, mitral valve replacement, cardiac catheterization, bypass surgery, coronary bypass surgery, cardioversion, cerebral palsy treatment etc. Dr. Goyal has been practising cardiology for the past 40 years. His proficient knowledge and years of experience have enabled him to diagnose, deal as well as treat complex heart conditions. Dr. Col V C Goyal provides answers that are very helpful, knowledgeable, well-reasoned, practical and saved my life. Thanks a ton Sir. I ll be doing exactly as you said. Let me do this for a month and get back to you. Again thanks a ton for your wise advice. I was suffering from hemorrhoids. Almost all doctors suggested surgery for it, but I did not wanted to go for it I am so happy that I chose Dr V C Goyal for my treatment as now I am perfectly fine. It was an amazing experience as everyone in the clinic is so nice.He is not just friendly, but also is very motivating. He is not just highly qualified, but has years of experience in handling high risk cases. During the treatment,he supported me a lot. I was shocked to experience the symptoms of fatigue. Thanks to Dr V C Goyal, that the fatigue treatment he gave me has given brilliant results. Hygiene is very important, and I must say that Colonel Goyal clinic was extremely clean. Col V C Goyal is really like god send person. Over the period of time I noticed a number of changes in myself. Col V C Goyal has so much knowledge that for everything my family takes his reference. So many doctors I consulted for my masterbation addiction treatment, but Dr Goyal's treatment was the best. My previous experiences were not so good, but he has completely changed my opinion as he is very helpful and humble. I'am almost on the path to recovery, Thanks to Dr Goyal for the perfect advice.I must say the hygiene was maintained very nicely in the clinic. I was in so much tension due to my Dark circles.drCol V C Goyal is a very practical doctor.I was suffering from it for such a long time.During the complete Treatment program he always supported and motivated me. The Colonel Goyal clinic in Ghaziabad have proper facilities for disabled patients as well.With the help of hertreatment I am feeling so great. I was shocked to experience the symptoms of sleepiness. But I am almost my normal self post the treatment and for that Dr Goyal is the reason. He has broad knowledge, he can handle all types of emergency cases. He is a very practical doctor. The sleepiness treatment given by him was quite beneficial. Dr. Col V C Goyal provides answers that are very helpful, knowledgeable, inspiring, helped me improve my health and well-reasoned. I am very happy to be a part of lybra+e group. I am happy & satisfied with the answers your Doc.gives. Thanks a lot for helping people like me. Dr. Col V C Goyal provides answers that are very helpful. Info provided by the doctoral was useful, but I wanted to ask, when should I take my evening Nashta (snack) which was not conveyed to the doctor because of spell correct intervention ! dr Col V C Goyal did my allergy testing so finely that all the time i was panicked, faded away. I felt at such an ease that i forgot all my pains and just left it all to him. I went to his clinic Colonel Goyal clinic in indirapuram. Dr. Col V C Goyal provides answers that are very helpful, inspiring, helped me improve my health, saved my life and caring. Thanks for ur advice sir. I will surely follow your advice. Mom swear i will not break ur promise. Dr. Col V C Goyal provides answers that are very helpful, knowledgeable, thorough, well-reasoned and caring. hope more medical guidance too. should I continue medicines ? Have I symptoms of Fibromyalgia )? pl. suggest. dr Col V C Goyal did my asthma managment treatment at his clinic Colonel Goyal clinic in Noida. I consulted him because my asthma problem was increasing day by day. He has healed me like magic. Thanks a lot to him. Hi. I am sher form nepal. I am 42 years old. I am hypertensive and have been under medication for 12 years. I take 1 tab of amtas at each day. I do smoke once after dinner before bed otherwise can not sleep but do little exercise like running trice a week and one day futsal once in week. I want to get rid form medicines. Please suggest me. 1.no alcohol 2. Reduce body wt 3. No smoking/ tobacco 4. Diet - no ghee/ butter, have mix of vegetable oils - mustard, til, ground nut, olive oil, have more green vegetables and fruits, have whole grain atta, no fried. Fast. Spicy / processed/ junk food. Less sugar, potato, rice 5. 30 mts brisk walk daily 6. Deep breathing exercise for 10 mts daily 7..6-8 hrs of sleep at night 8. Expose your body to sun for 15-20 mts daily after some oil massage to get vit d. 9. Take more water medicine can not be advised for open question ,for medicine contact on private chat. I feel vomiting during meals by which I am not eat to a satisfaction. How can I get rid of the very problem? Respected srrr. I sleep more from 1 months. So, from 1 week I cannot study very well. My habit of sleeping cause big problem to me (also, headaches problem started). What I should do to cure this problem. Thanks. T 4. No fried. Fast. Spicy / processed/ junk food. Less sugar, potato, rice 5. 30 mts brisk walk daily 6. Deep breathing exercise for 10 mts daily 8. Expose your body to sun for 15-20 mts daily after some oil massage to get vit d. 9. Take more water medicine can not be advised for open question ,for medicine contact on private chat. I am 26 years old male having headaches frequently. I took medicine provanol sr 40 mg for few months and was fine. Now again frequency of headaches has increased. I take naxdom and feel better. Pls advise how to reduce headaches frequency. Get bp and eye sight checked, x ray pns, thyroid hormones t3 t4 tsh 1.sleep.go to bed and get up about the same times every day, 3. Eat regular meals. 4. Drink plenty of water to avoid dehydration 5. Relax – listen soothing music. Walk for 5 mts 6.avoid .stress, 7. .avoid strong stimuli like loud noises, and smell of food 8. Keep your routine fixed and regular medicine can not be advised for open question for for medicine contact on private consultation. Hi, I am frequently suffering from indigestion and acidity is there any permanent treatments. I had a relationship issue in march and since I have been trying to cope up. But I am suffering from drastic mood swings. At night I am not able to sleep I need to take syrups to make myself sleep or otherwise I feel like throwing my legs hands on bed. I get relief when I feel pain n hurt myself. I do not want this and want to be fine. Kindly recommend me some medicine so that I can sleep well and get me free form this depression. 1.no alcohol 2. Reduce body wt if over wt 3. No smoking/ tobacco 4. 5. 30 mts brisk walk daily 6. Deep breathing exercise for 10 mts daily 7. Meditation daily for 10 mts. 8. Expose your body to sun for 15-20 mts daily after some oil massage to get vit d. 9. Take more water medicine can not be advised for open question ,for medicine contact on private chat.